Heavy duty truck repairs present a tremendous opportunity for today’s collision repair industry. However, many repair professionals who focus on heavy duty trucks are challenged to find the standard operating procedures and specialized products needed to deliver high-quality, durable and cost-effective repairs. To help heavy duty truck repair shops service these big rigs more efficiently, 3M Automotive Aftermarket Division has created an online Heavy Duty Truck Repair Center to offer all of the solutions, SOPs and repair processes – in one convenient location. 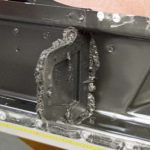 Whether repairing fiberglass (FRP), sheet molded compound (SMC), METTON® (Liquid Molding Resin) or traditional metals, 3M offers step-by-step guidance to make the repair, protect it from corrosion and keep the overall vehicle looking great. 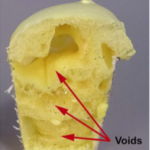 When it comes to repairing damaged SMC, FRP, TPO or METTON®, understanding which adhesive to use and where to use it is critical for a sound repair. 3M offers a range of solutions to fit every repair need. Many, including 3M™ SMC/Fiberglass Repair Adhesive, come in 400ml cartridges so technicians can stay on the job much longer without having to unload and reload empty cartridges. 3M adhesives are used primarily for bonding and filling repair areas such as frontside, backside and cosmetic panel repair for heavy duty trucks. Depending on which substrate is used it may require a flexible or a rigid adhesive or an adhesive that helps build strength and rigidity. When working overhead or on a vertical surface with traditional fiberglass matting and resin, a technician may require an adhesive with more vertical hold. Searching for a composite and/or metal bonder with rust inhibitors? The bigger question now becomes: what products and standard operating procedures are technicians using today to complete the repair with safety and productivity in mind? Regardless of the repair – composite, rivet bonding, panel replacement or adding an isolator between panels to protect from galvanic corrosion – 3M has a solution. 3M supports its products with easy-to-read SOPs to help technicians get the job done right the first time. Constantly battling to keep the shop clean? There are many sources of dirt, dust and debris in a collision shop. 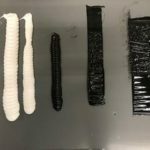 Managing dust in a shop can reduce rework, increase production efficiency, provide a better environment for technicians, and leave a more professional impression with existing and potential customers. Grinding, welding, sanding, painting and polishing can all create that layer of dust that collects everywhere. Dust from fiberglass, SMC, body filler and primer has a way of spreading around and makes an enormous impact on cleanliness. A growing trend is the use of dust extraction systems and new developments in this technology are making them even more efficient and easier to use. The traditional full central vac systems weren’t popular because of the large, bulky hoses that typically need to be attached to technicians’ tools. One option that has gained popularity is mobile dust extraction units like the Total Automotive Sanding System from 3M and Festool. This system uses a small, mobile dust extractor that can be moved around the shop from job to job and can be used by two technicians at a time. This versatile mobile option addresses a great deal of the technician’s previous resistance and can be very practical for facilities of any size. The system combines 3M best-in-class abrasives with Festool premium power tools and dust extraction solutions. Customers can easily configure the best systems for their specific shops and dust extraction needs. The Total Automotive Sanding System mobile dust extraction units and multiple dust-free tools and long hose length options (up to 10 meters/32.8 ft) are effective solutions for the large vehicle sizes typical in heavy duty truck and commercial shops. 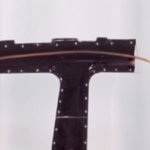 Also, the hoses feature rotating adapters that greatly increase freedom of motion when using a power sanding tool connected to the dust extractor. Once an optimized dust extraction system is integrated, the shop will quickly start to see many benefits of a cleaner work environment. 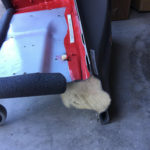 *Note: The Total Automotive Sanding System mobile dust extractor is not approved for use with aluminum dust. In the heavy duty truck, bus and commercial vehicle market, it doesn’t matter if the job consists of surface preparation, weld grinding, spot weld removal, sectioning, panel trimming, cutting steel stock or rivet removal — 3M™ Cubitron™ II is the answer. 3M™ Cubitron™ II abrasives feature precision-shaped ceramic abrasive grain technology. These proprietary ceramic grains are precisely shaped into triangular structures – essentially, sharp peaks that slice, not plow, through paint and metal. 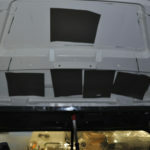 The result is faster surface prep for paint, cutting of welds, side panel removal and door skin removal. For the ultimate cut-off wheel for cutting sheet metal, frame rails, clamps or rusted bolts, fiberglass/SMC or very heavy stock, choose the 3M™ Cubitron™ II Cut-Off Wheel. It provides long-lasting life due to the cooler running abrasive during the cutting process. 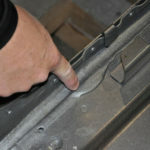 When removing a spot weld or rivet, rather than the typical process involving a drill bit – which in the case of high strength steel-can be very labor intensive and cost the shop thousands of dollars per year in drill bits alone, an easier and less-expensive solution is the 3M™ Cubitron™ II File Belt and File Belt Sander, which improves control, uses less effort, and costs significantly less. Technicians can grind exactly where they intend, i.e. 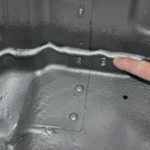 the head of the rivet or spot weld, without damaging the strength and integrity of the host panel. When a truck or commercial vehicle is manufactured, preventive measures are taken to resist corrosion over the life of that vehicle. After a collision repair, these protective materials can be compromised and need to be restored properly. 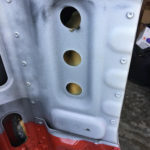 Restoring the corrosion protection and being careful not to create new corrosion hot-spots is the key to a proper repair and safer vehicle. Corrosion does not simply occur due to road salt and the elements. 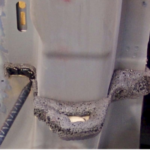 Common procedures such as grinding, welding and cutting in truck collision repair – anything that compromises the OEM corrosion protection process – can create opportunities for corrosion. Learn more about the causes and prevention of corrosion here. 3M offers a complete solution for preventing corrosion following a repair — cavity wax, seam sealants, coatings and paint systems. To help protect the integrity of the repair when access to the backside is difficult or limited, use 3M™ Cavity Wax Plus. This product will effectively coat and protect from corrosion by sealing out oxygen. This is easy-to-use aerosol product in a convenient can eliminates the need for bulk spray equipment. The 24” and a 34” wands with small 360-degree applicators at the ends are easy to insert into cavities such as cab corners or frame rails. The 360 degree applicators ensure that the coating is applied evenly on all surfaces. An additional 8” wand is great for flooding joints and for easy-to-access areas. For painters challenged with painting large surfaces with large-format paint cups, the 3M™ PPS™ Series 2.0 Spray Cup System offers an excellent solution. The 3M PPS Series 2.0 Spray Cup System dramatically improves the painting process with a revolutionary new spray cup design that delivers advanced performance, efficiency and cleanliness. The 3M™ PPS™ Disposable Paint Cup System has reduced solvent use by up to 70 percent and decreased prep time by up to 50 percent in shops all over the world. It quickly became the standard for painters around the world. Now, 3M has improved this system with a new spray cup design that eliminates the collar, adds a quarter-turn lid locking system and incorporates new features to make painting easier and more efficient. To learn more about the six key improvements in 3M™ PPS Series 2.0 Spray Cup System and see a demonstration, visit here. With the new spray cups and related equipment, 3M also provides a new series of atomizing heads that allow shops to use the 3M PPS™ Series 2.0 with Accuspray™ ONE spray guns without an adapter. The 3M™ Accuspray™ ONE Spray Gun is a lightweight, composite spray gun body that is molded in one piece, eliminating the complexity of cleaning and maintenance of small parts and pieces. 3M™ Accuspray™ atomizing heads for PPS™ Series 2.0 provide the same stable four-point connection to the spray gun. Replaceable atomizing heads can be reused 5-10 times and then removed and replaced – the performance of a brand new spray gun, on-demand and at a fraction of the price. Painters can quickly choose the correct head according to its color: 2.0 mm (red), 1.8 mm (clear), 1.4 mm (orange), 1.3 mm (green) and 1.2 mm (blue) for a wide range of materials from basecoats to primers to undercoats or industrial coatings. For technician convenience, the millimeter size is presented clearly on each atomizing head for easy identification. The 3M™ Perfect-It™ EX system is designed to deliver optimal performance during paint finishing, every time. 3M™ Purple Finishing Film and 3M™ Trizact™ abrasives are essential tools for the paint defect removal and refinement processes, allowing painters and detailers to complete the defect removal process much more quickly. 3M™ Trizact™ grade 3000 and 5000 is used to further refine previous 1500 or 2000 grade sand scratches, making the buffing process easier and helping shops save time and compound material cost. The Trizact mineral itself consists of precisely-shaped three-dimensional “pyramids” distributed uniformly over the surface of the disc. As the pyramids wear, fresh, sharp mineral is constantly exposed to the workpiece, resulting in faster, more consistent performance throughout the life of the disc. After all defects have been removed and sand scratches totally refined, the final steps of the paint finishing process are to compound and polish. 3M has added a new assortment of wool and foam pads called 3M™ Quick Connect. 3M Quick Connect Pads are designed to provide optimal performance when used with the Perfect-It™ EX system. The 3M™ Quick Connect Adaptor makes it very easy to quickly switch between compound and polishing pads and center the pads, eliminating wobbling or vibration to help minimize user fatigue and improve technician productivity. When a shop makes the 3M Paint Finishing System their go-to system, they benefit in both speed and results. 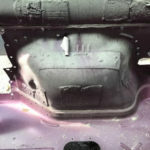 All of these repair processes and more can be found with step-by-step detail at 3MCollision.com/truck-sop. It can also be found on the 3M Collision app for iPhones, which can be downloaded from the Apple app store. 3M automotive products keep the world on the move, with innovative solutions for building, repairing and maintaining vehicles. From the collision repair professional to the individual vehicle enthusiast, people around the world trust 3M products to protect, repair and keep their vehicles looking showroom new. And our commitment to this industry extends beyond product performance to a careful stewardship of the world’s resources and environment. Serving the needs of our customers has made 3M a trusted leader in vehicle care and repair, and we are dedicated to earning that trust each and every day. www.facebook.com/3MCollision and on twitter @3M_Collision and Instagram @3MCollision.